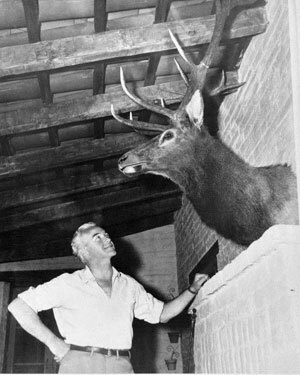 Bill Boyd always admired a buck. 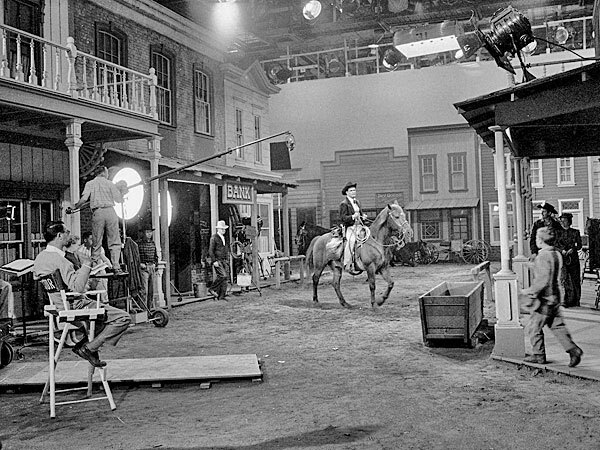 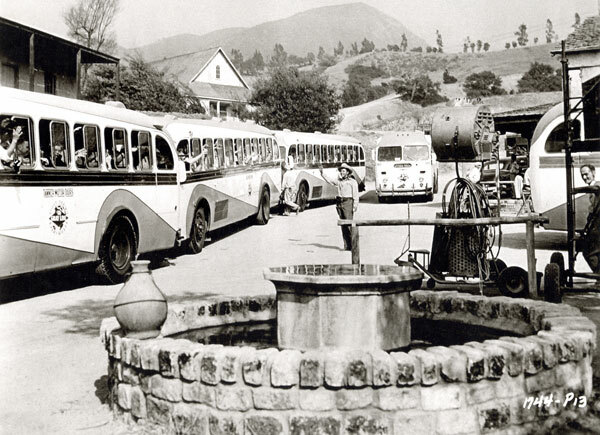 While filming “Ride Clear of Diablo”, Audie Murphy waves at the Universal-International tourist buses on the U-I backlot. 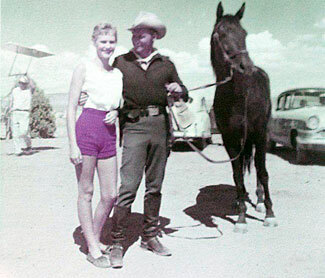 John Wayne and ?? 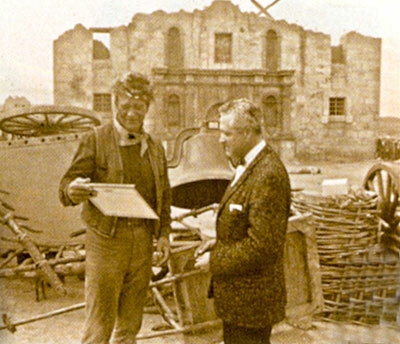 in front of the Alamo replica in Brackettville, TX. 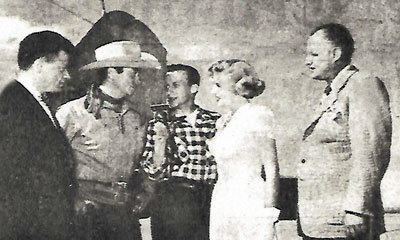 Tim Holt is greeted after landing in Casper, WY in 1950 for a personal appearance by (L-R) Mayor Robert Rose, Ed Peiss of radio station KVOC, Jacqueline White and Russell Schulte, executive vice president of Rialto Theater Inc. Jacqueline was now Mrs. Bruce Anderson and living in Casper. 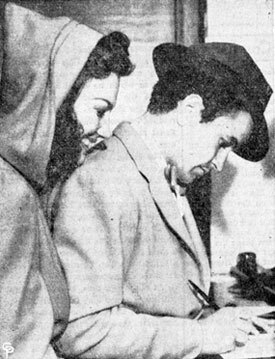 Buck Jones’ daughter Maxine and Noah Beery Jr. apply for a marriage license at the marriage license bureau in L.A. on March 25, 1940. 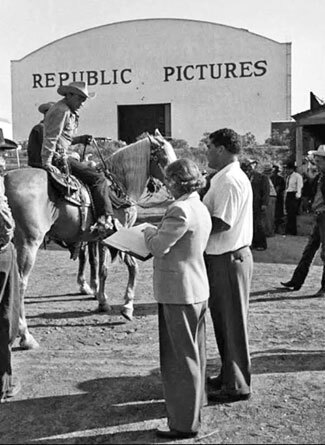 Promoting the premiere of “Dodge City” (‘39) in Dodge City, KS are Warner Bros. contractees (back row) Wayne Morris, Gilbert Roland, John Payne, Allan Jones, Frank McHugh. 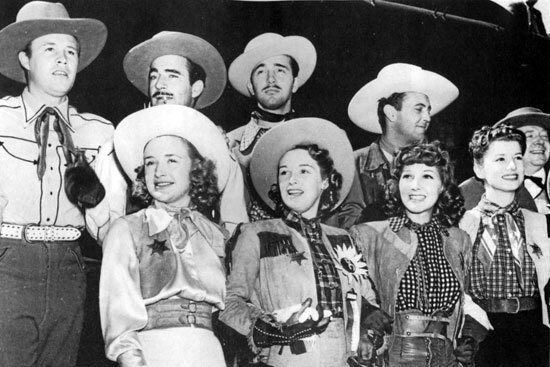 (front row) Priscilla and Rosemary Lane, Jean Parker, Frances Robinson. 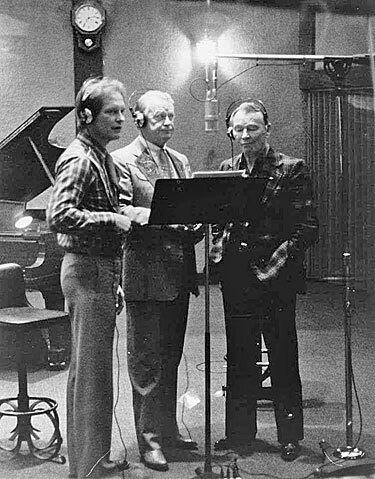 Rex Allen Jr., Rex Allen and Roy Rogers lay down tracks for “The Last of the Silver Screen Cowboys” song which was included on Rex Jr.’s 1982 album “The Singing Cowboy” produced by Snuff Garrett. 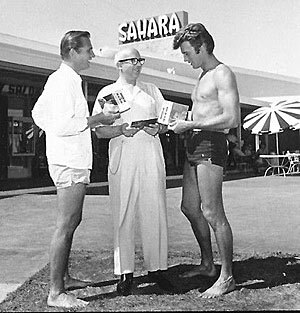 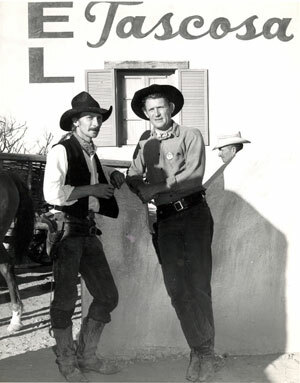 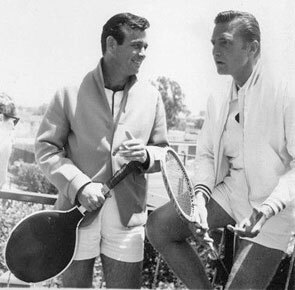 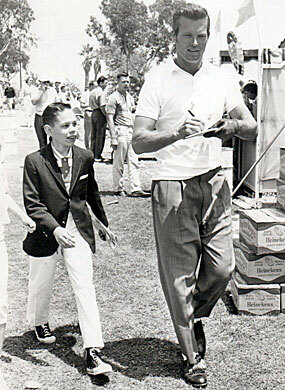 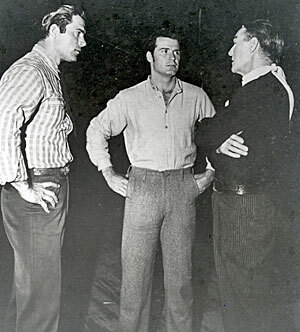 Don Collier (right) was the guest star at a horse race in Brackettville, TX in 1963. 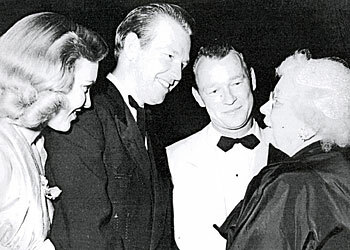 Rex Allen and his wife are introduced to Ida Koverma by Roy Rogers at a dinner to honor Adolph Zukor. 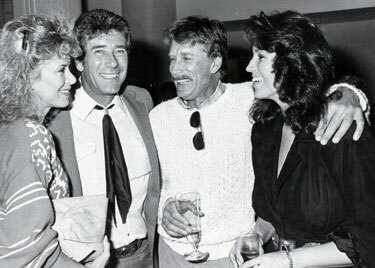 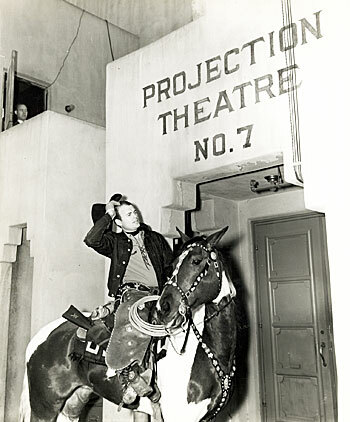 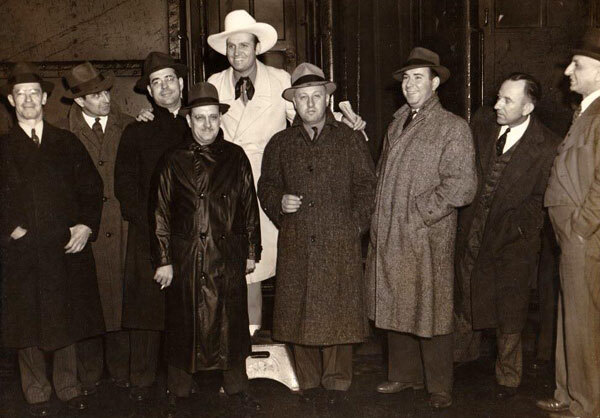 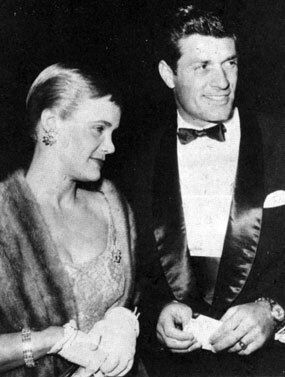 Koverma came to give thanks to the Western stars for appearing at many of her benefits. 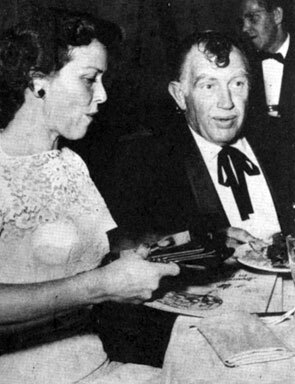 Andy Devine and wife Dodie “jingle” at the premiere party for “Arond the World in 80 Days”. 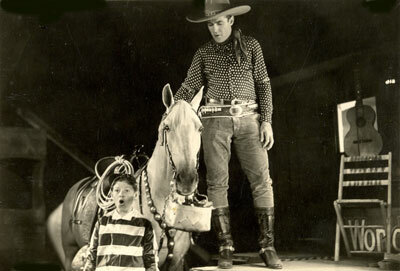 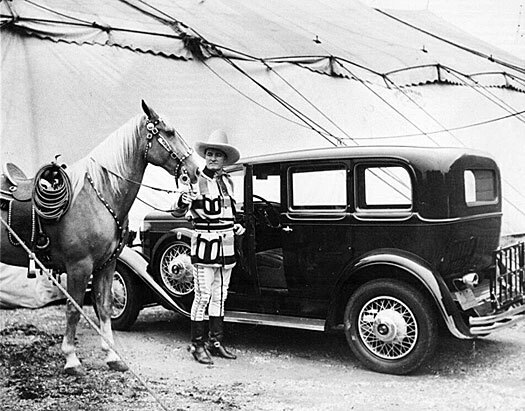 Hugh “Wyatt Earp” O’Brian at an outing with starlett Dee Outland.